The Cambridge Blue Belles have provided homemade crafts and comforts for those receiving services on Addenbrooke’s S Wards. The S wards are for those suffering from Eating Disorders and Substance Misuse. Blue Belles WI is committed to helping service users feel the love from our meetings and friendships – one handmade craft at a time. Our members support the Cambridge City Food Bank, which collects non-perishable food for distribution to local people in crisis. We individually donate food items at our monthly meetings at the Friends Meeting House on Jesus Lane. 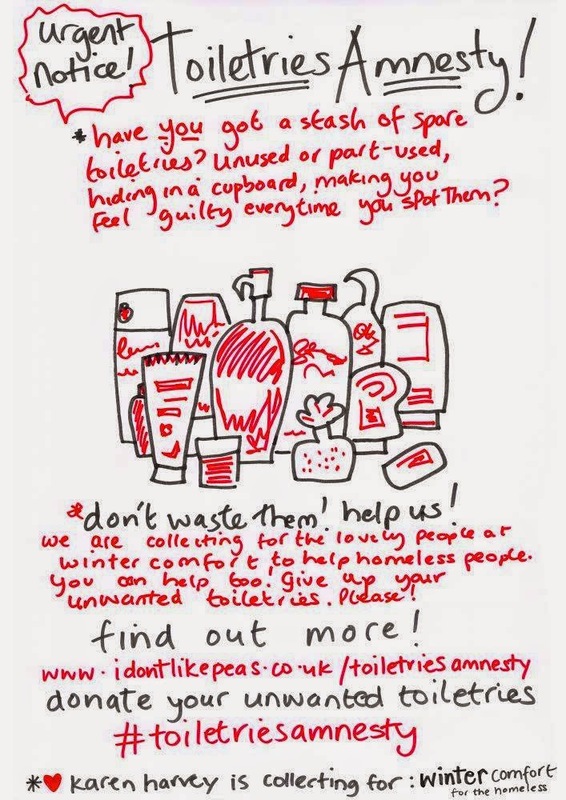 Blue Belles are proud supporters of this initiative to gather toiletries from the community that may otherwise be thrown away and donate them to those who need it via homeless charity, Winter Comfort. 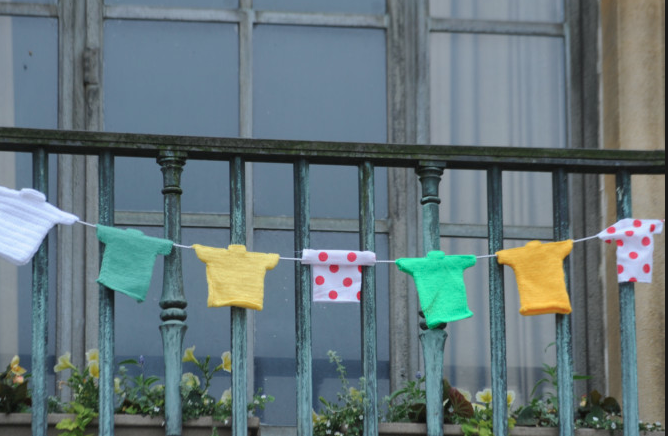 Following an appeal from Cambridge cyclist, Rad Wagon, for knitters to unite to knit 3,000 miniature Tour jerseys to decorate the streets of our city when we host the Le Grand Depart of the Tour De France on July 7th, we are proud to say that we took up our needles to support this yarn bombing extravaganza! Knitting the three iconic jersey colours (white, green and the much sought after yellow! ), we joined forces with Rad Wagon to help yarn bomb the city and show the world Cambridge at its most colourful and creative! We were extremely proud to be involved in this community driven venture – especially as any bunting which had been left over after Le Tour was bought in exchange for donations to local charities! For more info, do visit Rad Wagon’s website to get the full low down! Belles are super talented bakers! Delicious cakes for our 6th birthday!